Stanley Lambchop is an ordinary boy with an extraordinary problem. One night, a giant pinboard falls on top of him, leaving him completely flat. At first, Stanley enjoys the benefits of his strange predicament. It can be fun going in and out of rooms simply by sliding under the door. And it’s a hoot being posted to your friends in California for a holiday. But it’s not always easy being different, and, once the novelty begins to wear off, Stanley wishes he could be just like everybody else again. But how will he ever fill out? 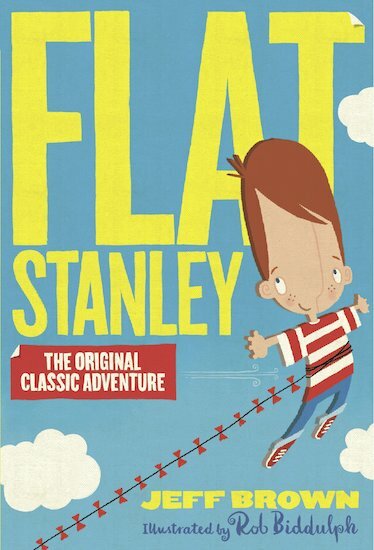 30 copies of this classic children’s book to accompany Read and Respond: Flat Stanley.